What Should We Ask of the Association? Kentucky just finished our annual Director of Missions Leadership Advance which is an annual retreat and continuing education experience for DOMs. It was a great experience with many wonderful presenters who stretched, challenged and equipped DOMs in their role of associational leadership. Ed Stetzer of Lifeway Research did an awesome job challenging DOMs to be “interventionists”. He talked about the interventionist as one who asks questions and chooses to intervene. An interventionist engages in the situation because he knows the association or church and how to help it. He is proactive and offers assistance before being asked to do so. Most of our DOMS in KY were pastors prior to assuming their current role and therefore their default is to pastoral care. Pastoral care is needed, but the role of a DOM must be much more than that if the association is going to be effective and of value to member churches. Pastoral care alone doesn’t bring about the substantive change that is needed in most of our associations today. DOMs who desire to change the trajectory of the association and point it in a healthy self-sustaining direction, must have an interventionist mentality. An interventionist will ask questions that require us to assess reality and examine the direction of the organization. 1. What year is it in your association? 2. The role of the association has changed over the years. What is the role of your association today? Or, for what reason(s) does the association exist? 3. What is the vision and mission of the association? 4. How effective is the association? If the effectiveness of the association is evaluated by the effectiveness of member churches – how effective is the association? 5. Is the association a good steward of God’s resources (financial, volunteers, churches, community, etc). 6. What are the strengths and weaknesses of your association? 7. What associational changes must take place in order for churches to continue participating in the years to come? I want to challenge DOMs to ask these questions of their association. Lead your association to assess current realities and examine its direction. Don’t be afraid of the answers or what you’ll learn about yourself. 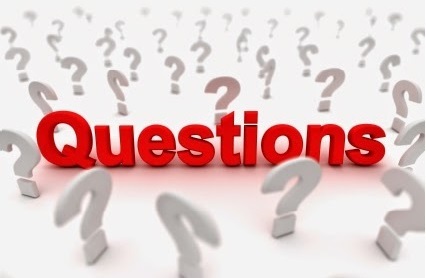 Lyle Schaller, in his book “The Interventionist”, states “the most effective way to influence both individual and institutional behavior is to ask questions.” Why not influence your Baptist association’s value to local churches today by asking some good questions of it? Don’t be afraid of the questions … or the answers. Allow the questions asked, and their answers, to stir you toward more effective ministry, rather than paralyze you in fear. As we celebrate Baptist Association Emphasis Week, I would like to spotlight a ministry of the Pulaski Baptist Association. 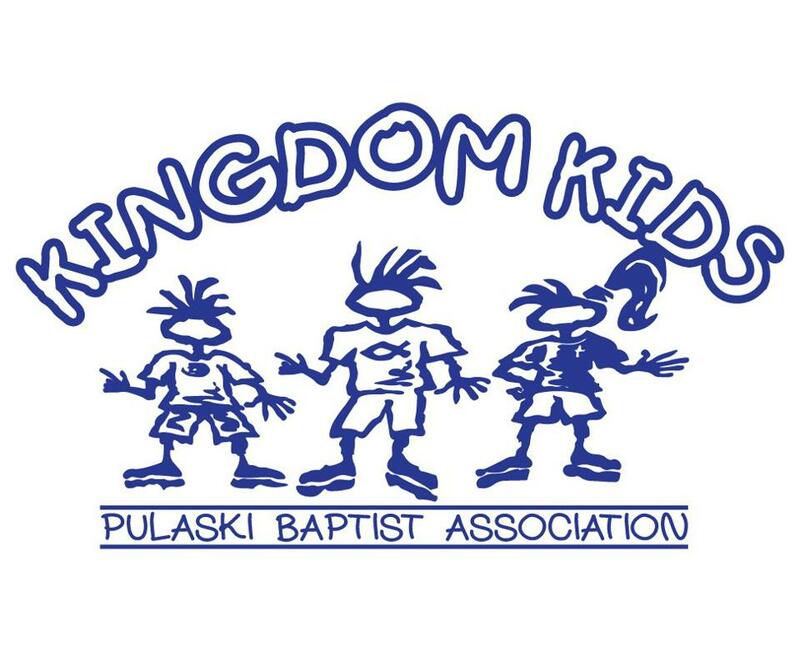 Kingdom Kids is an associational children’s ministry. The ministry was founded in 2006 by Stacey Burton, Evangelism Catalyst with the North American Mission Board and the Kentucky Baptist Convention, with three primary objectives. First, they are building the Kingdom reaching one child at a time with the Gospel by offering community children’s evernts such as day camps, an associational choir, and mission action projects throughout the year. Second, they are building the local church one family at a time by connecting those who attend the events but claim no church home with the churches that support the ministy by sending volunteers or financial support. Third, they are spreading Christ’s love throughout the community through large outreach events such as Easter Bash, Family Movie Night, etc. Stacey is also available as a consultant to association and regional churches helping them to build, strengthen, and maintain healthy church & family ministries. Last year three children came to know Christ as their personal Savior through the outreach of Kingdom Kids. The ministry crossed county lines as they lead Vacation Bible School for Polly Ann Baptist Church in Lincoln County. Although Kingdom Kids provides outreach events throughout the year, summer is their busiest season. Beginning May 22 with a movie night at the Shopville Park and ending August 7 with a movie night at Cole Park, every week but one there is some type of outreach scheduled. The 2015 Schedule includes seven movie nights, a block party, VBS at five locations (including one in Lincoln County and one in Russell County), a creative ministries workshop, sports camp, boys day camp, girls day camp, and a mission day trip. A new aspect of the ministry is a local mission team for middle school, high school, and college students to serve alongside Ms. Stacey. A middle school/high school community choir called “A Joyful Noise” has also been added to the ministry. This choir was created as several children in the elementary choir moved to middle school but didn’t want to leave Kingdom Kids. Mission teams from Brodhead Baptist Church (Rockcastle County), from a church in Alabama, and a church in Georgia are scheduled to serve with Kingdom Kids this summer. This is a great ministry that impacts many children each year with the love of Christ. To learn more about Kingdom Kids, or to request help from Ms. Stacey, go to the Kingdom Kids Facebook page – https://www.facebook.com/groups/kingdomkids11/. The heart is an incredible organ created by an even more incredible God. 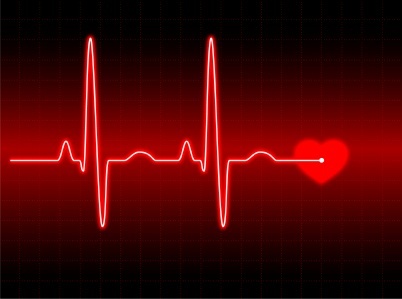 A healthy heart is vital for life. When one’s heart is unhealthy, life is at risk. The Bible understands the importance of the heart. The Bible speaks of the necessity of a healthy heart. In fact, the Bible emphatically speaks of humans needing new hearts (Ezek 36:26). The universal problem of sin kills every human heart (Rom 3:23; 6:23). Only by God’s divine grace can our hearts be made new. Only a sovereign God can perform spiritual heart surgery on stony hearts. Only God can remove an old callused heart and replace it with a heart of flesh. The great first century missionary Paul realized the need for new hearts. As Paul made his way to Europe with the gospel, he came to Philippi. Instead of finding a synagogue of Jewish people, Paul met a lady by the river named Lydia, a business woman and worshiper of God. This religious lady had never heard the good news of Jesus. As Paul shared the message of Jesus with her, the Lord opened her heart to respond to the things spoken by Paul (Acts 16:14). In other words, as Ezekiel had prophesied centuries prior, God used the message of Jesus as the instrument to remove Lydia’s stony heart and replace it with a heart of flesh. The message went out and by God’s grace it also went in. Only upon receiving a new heart did Lydia respond appropriately to this new message from Paul’s mouth—a message that would change her and her family (Acts 16:15). Nearly two thousand years later the need is the same. The universal problem of sin still kills. However, the remedy is also the same. Jesus still saves by making hearts new. Lydia’s exist everywhere. The only hope for the Lydia’s and Larry’s of the world is a new heart that comes through Jesus alone. Missions is about the one answer to the universal problem of sin—new hearts come through Jesus. Yet, only as the message of Jesus is shared will hearts be changed in order for people to respond to the good news of Jesus. After all, how can hearts be made new to respond to Jesus in whom they have not believed? How will they believe in Him whom they have not heard? And how will they hear without a preacher (Rom 10:14)? The message goes out and changes hearts only as we go out with the message. It really is a matter of the heart. The single fastest-growing religious group in Western culture is those who check the box next to the word “None“ on national surveys. This group represents almost 20 percent of the population in America. Sadly, most churches are reaching few of this group for Christ. We are living in a post-Christian world, and “Nones“ are declaring to us, “God, maybe, but Christianity, Christians, and Church, no.” The changing culture is revealing to us that this is a growing belief among those of the next generation. God has placed us here, as followers of Christ, for such a time as this. Learn the “heart” language of this generation. Become a student of our present culture. Share the Gospel in a way that can be understood. Please note that I did not say change the Gospel. The Gospel message is unchanging, but how we share that message sometimes must adapt in order to reach people groups. 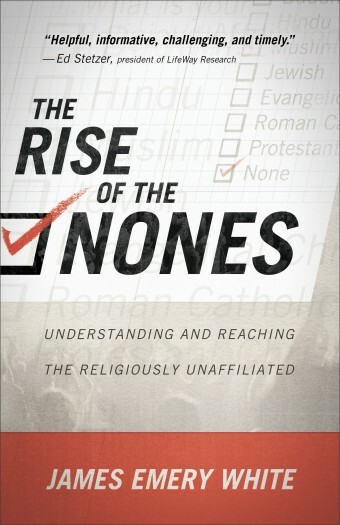 In this era of declining church membership and growing apathy to matters of faith, let me suggest a book that is worth reading and that provides tremendous insight into the “Nones.” James Emory White, a pastor of one of the fastest growing church plants in America, has written a challenging, informative, and strategic book entitled: The Rise of the Nones. This is a must read for anyone who has a heart for sharing the Gospel and impacting our culture for Christ. This work can be found at Lifeway bookstores and is published by BakerBooks Publishing Group. I highly recommend this book to church leaders and those in ministry who want to reach the next generation. Does the Future of the Association Depend Upon the DOM? There’s a lot of discussion taking place today about the value of Baptist associations. Arguments can be made for their benefit and importance as well as against their outdated methodologies and ineffectiveness. Having witnessed both effective and ineffective associations first hand, I am convinced the difference is primarily due to leadership, or the absence of. Effective associations where churches partner together for maximum Kingdom impact don’t just happen on their own. There must be someone who serves in a catalytic role, pulling together the churches to initiate, plan and implement strategic partnerships. In Baptist associations, that someone should be the Director of Missions (DOM). I’m hopeful that this blog post will help associations identify the kind of DOM they should be seeking God for. So, what are some of the characteristics of a catalytic DOM? 1. Respected – it takes trust and respect over a period of years in order to pull together influential pastors and leaders in local churches. This doesn’t mean the DOM must be old and gray. Young men are capable of earning respect if they’re willing to make the investment and prove themselves among the community and churches in the association. 2. Dependent on God – there will always be many things going on within an association that a DOM could worry about. The temptation is to assess the situation and come up with a strategy that maximizes potential for impact, without seeking God. But sometimes those situations that a DOM fears the most might be what God wants to use to make the association rely on Him and not themselves. 3. Act as Role Model – DOMs must boldly and unashamedly model the priorities and values they proclaim. They can’t lead from behind. DOMs can’t just put an inspiring vision statement on the association and put together ministry teams, expecting others to carry out the mission. They must lead strongly from the front – setting the example. 4. Humble – one of the most important characteristics for a leader, especially a catalytic DOM, is humility. They can’t be concerned about building their own influence and power or making a name for themselves. Humble DOMs will be more involved in the long hard work of patiently developing relationships and building leaders than volunteering for highly visible board positions and speaking engagements. 5. Hard Worker – DOMs won’t see success in reaching ministry goals just because of their position, charismatic personality or charm. Making a Kingdom impact requires hard work, and sometimes that involves giving up “me” time. A catalytic DOM must allow God to determine the pace since He’s the One who has laid out the race for each of us. God’s pace will not involve aimless wondering, drifting comfortably toward retirement or laziness. 6. Committed to People – there are few leaders today who are selflessly generous toward and committed to those God has called them to serve. A DOM who is catalytic will not see people as tools to grow his ministry, but ministry as a way to grow the people and churches God has entrusted to his leadership. If you’re a DOM, which of these characteristics best describes you? And which one do you need to work on? If you’re a pastor or church leader, how can you help your DOM to be a more effective catalytic leader for the association? The future of Baptist associations is at stake. Those that survive, will do so because they are valued by the churches for their strategic leadership and led by a catalytic DOM.